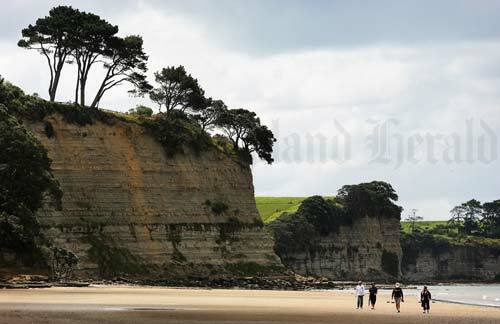 The Long Bay Regional Park is one of the last strips of undeveloped coastline on the North Shore. As well as a safe swimming beach, the park features remnants of native bush, walking tracks and picnic sites. It attracts 1.5 million visitors a year. Recent proposals to build a suburb nearby have drawn public criticism, with many calling for the Auckland Regional Council to buy the land and add it to the park.